The €2 million guaranteed paddypowerpoker.com Irish Open is to be broadcast on Challenge TV in April 2007. If you can't wait for the televised recording UK Poker News will be reporting LIVE from Dublin. It's one of our favourite events on the world poker calender. 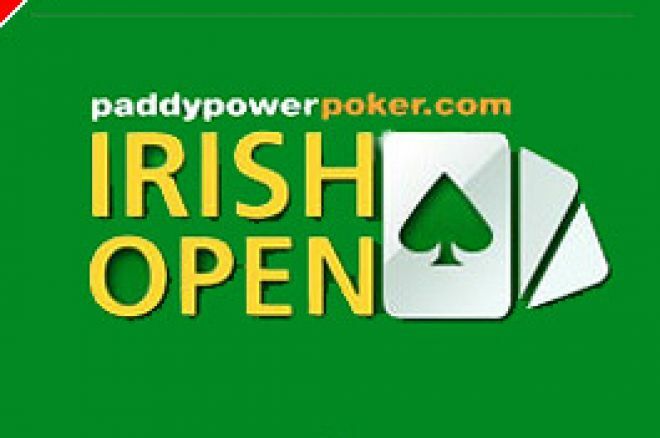 The Paddy Power Poker Irish Poker Open usually attracts big names from across the world and 2007 won't be any different. Up to 700 players are paying €3,300 (+€200 reg) to play over Easter Weekend 2007 against the best players in the world. With €2,000,000 guaranteed there are certain to be a number of huge pay days for the lucky cash finishers. All programmes start at 11pm UK time. The shows will be presented by former girl-band star and TV presenter Liz Bonnin (Top of the Pops, RI:SE) and commentary will be handled by the legendary 'voice of poker' Jesse May along with a host of international poker stars. If you can't make it to Dublin but still want to follow all the action, then stay tuned to UK PokerNews. We are sending our expert updaters to Dublin to bring you all the action as it occurs. Barry Carter and Kevin Stevens will be working their socks off to keep you, the readers, up to speed on all the main event happenings from Ireland. Last year, Dublin accountant Vincent Melinn won the €350,000 first prize in only his second ever live tournament and the final table was broadcast live across Europe - a world's first! The Best Poker Show on TV?